We have learned to think that everything should be waiting for us when we show up. That kind of mentality affects our relationship with God as well. Instead of thinking that we exist to serve God, we begin to think that God exists for the purpose of giving us what we want when we want it. When Nehemiah learned of the anguish of the people in Jerusalem, he spent time with God learning God’s will and God’s way. Nehemiah was neither a priest nor a prophet. He was a leader, a man accustomed to acting decisively when called upon. 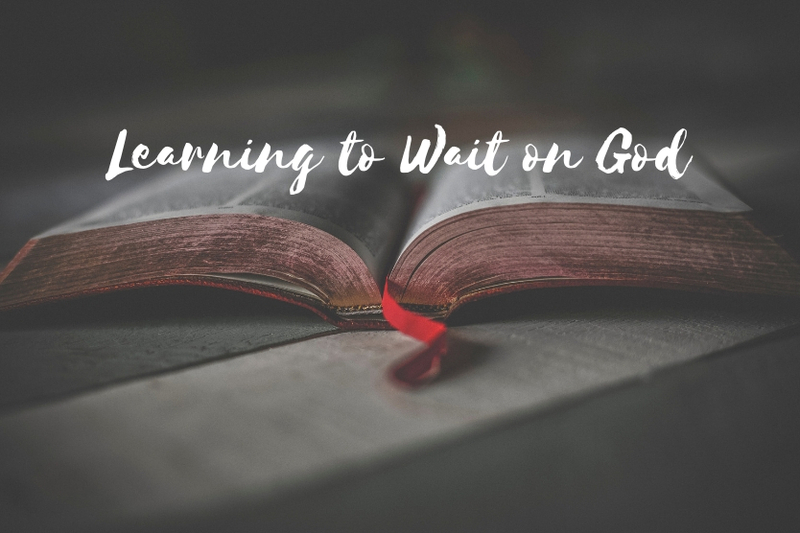 How amazing that Nehemiah gives us this lesson concerning waiting on God. What should we do? First, we should seek a word from God. Years ago, I decided that I needed to take everything to God in prayer. Of all the things I have desired for my life with God, that has been one of the most difficult. Every time I think that I will pray about all things I find myself going off on my own and leaving God out of the decision. It is hard for me to wait, but I need to hear from God and learn His way. That means waiting on God. Second, we need to practice solitude.God can speak in the middle of a busy intersection, but the truth is that I don’t listen very well in those times. I need to follow the teaching of the psalmist and “Be still and know that I am God” (Psalm 46:10). When I wait on God and seek Him, I am much more able to hear His voice. Third, we need to let God be in control. When we yield to God, we experience the joy of His presence in our lives. Finally, when God gives His direction, we must act decisively, knowing that He will be with us and direct our paths. Let us yield our whole selves to God so that we can receive His direction and leadership.